Very few people on this earth are lucky enough to live their dream and create something on that basis. Premlata Agarwal is one of those leading example. Living the dream is always the most cherished wish of the human, although making something from that passion is always worth it. The artists, painters, writers, singers are well known for living their dream. That is also the reason they can create masterpieces for the world to enjoy. Seeking adventures day in and day out is the passion that defines life for some of the people. These adventures can really rule the life. The story of Premlata Agarwal describes that people are never too old to chase their dreams or passion. Despite being a housewife and mother of two little girls, the Indian woman Mountaineer has scaled the highest peaks of the world. Another fact more inspiring about her is she had started mountaineering at the age of 38 and she had finished her climb of the seven summits of the world during her late forties and early fifties. From her example, all Indian women are getting inspired day by day to follow their dream even they are not in their teenage. The seven summits of the world describe the seven highest peaks of the seven continents of the world. As we all know that Mount Everest is the highest peak of the World and the Eurasia, the different continents also have their own highest peak. It can also differ according to the definition of the continent, like Mount Kosciuszko is the highest peak of the Australian mainland, while the peak Puncak Jaya is the highest peak of Australian Continent. The other parts of the seven summits include Kilimanjaro of Africa, Vinson peak of Antarctica, Mount McKinley of North America, Mauna Kea of Pacific Plate, and the highest peak South America which is called Aconcagua. Like millions of other Indian girls, Premlata Agarwal was also got married early and had two beautiful little girls at a very young age. Her family was based on Jamshedpur and she used to take her daughters to the JRD Tata Sports Complex for their Tennis training. In there, she came across an adventure sport of Dalma hill Trek. She had participated in that event and came third among almost 500 participants. While collecting her certificate she got inspired by the adventures of the Everest trip of Madam Bachendri Pal. She wanted to include her own daughters to the mountaineering training. Meanwhile, she met Indian woman Mountaineer Bachendri Pal who had encouraged her to join the course. At first, she was reluctant as she was 35 years at that moment, but with the encouragement from her mentor Bachendri Pal she had started her dream journey of climbing the mountains. In the year 2008, she first conquered the peak Mount Kilimanjaro of South Africa under the leadership of the legend Bachendri Pal. On her return, she was inspired by her mentor to try the climb of Mt Everest. With the support of her husband and two daughters, she finished her climb to the Everest in May 2011. Along with this achievement, she also became the oldest women to climb Mt Everest. On January 4th, 2013, she had finished her climb to the Mount Vinson. In May 23rd, she finished her climb to the seven Summits of the world by conquering the Mount McKinley peak of North America. Age and social position really don’t matter if a person has a zest for success and love for her passion. 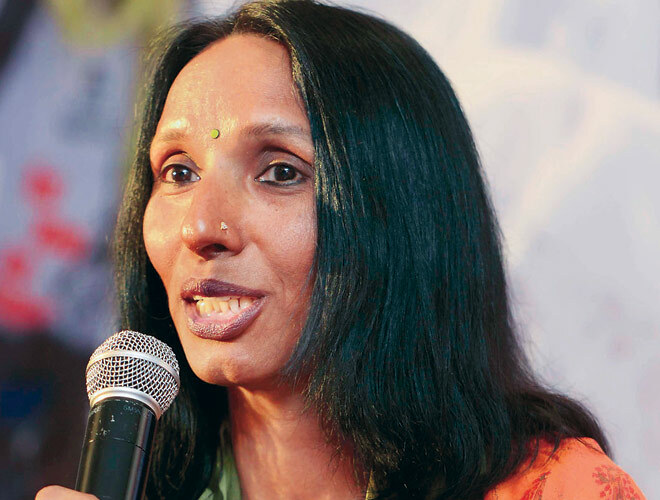 The life story of Indian woman Mountaineer Premlata Agarwal inspires all Indian girls to give a chance to their dream at any point of their life.